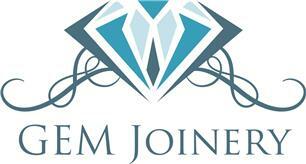 Gem Joinery Services - Carpenter, Kitchens based in Chobham, Surrey. Based in Chobham Surrey, GEM Joinery Services provide a personal service, combining the best of traditional carpentry & joinery with modern design, manufacturing and glazing techniques. Our range of joinery products include all types of timber doors, windows, conservatories, kitchens, furniture and any other ‘one off’ joinery products such as fitted wardrobes, vanity units and studies. GEM joinery also provide design services & repair services. Our flexible, modern and highly efficient work ethic can provide both volume and bespoke detail, allowing us to satisfy the most demanding requirements. We provide a one stop shop for interior and exterior joinery products. Our customers include Homeowners, Developers, Architects, Builders, Trades, The Public and The Private sectors. Whatever your concerns, situation, budget or taste, we go out of our way to give sound advice, excellent service, practical solutions and value for money. We understand the future of our business depends on our ability to deliver everything we promise and more! If you would like to discuss any future projects then please call us and we will be happy to provide a free no obligation estimate.